“Mission: Impossible-Fallout,” “The Nun” and “Operation Finale.” For more information on other releases this week, see the Weekly Guide to Home Video Releases. 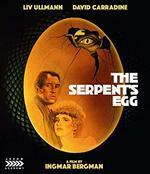 “The Serpent’s Egg”: In 1977, legendary Swedish filmmaker Ingmar Bergman teamed up with the equally legendary Italian producer Dino De Laurentiis for what would be the director’s one and only Hollywood feature. Berlin, 1923. Out-of-work circus performer Abel Rosenberg (David Carradine) is living in poverty. When his brother commits suicide, he moves into the apartment of his cabaret singer sister-in-law (Liv Ullmann), but the pair soon attract the attentions of both the police and a professor with a terrifying area of research when they start to make inquiries about his mysterious death. One of Bergman’s darkest — and most unlikely — films, “The Serpent’s Egg” is a hypnotic, Kafkaesque tale of paranoia in a poisoned city. On Blu-ray from Arrow Academy. “Bronx SIU” (2018) is a single disc with all eight episodes from Season 1 of the Urban Movie Channel Original Series that follows the pursuits of homicide detective Jimmy Blue (Brian White). Jimmy suffers from post-traumatic stress disorder and after a string of appalling homicides cause outrage in the city, he’s commissioned to head up an elite unit of investigators tasked with solving the most heinous crimes. From RLJ Entertainment … “Family Guy Season Sixteen” (2017-18) is a three-disc set with 20 episodes. In its 16th season, “Family Guy” continues to entertain its die-hard fans with razor-sharp humor, spot-on parodies, awesome animation and orchestra-backed original music. Guest voices this season include Ian McKellen, Ryan Reynolds, Amanda Seyfried, Sofia Vergara, Julie Bowen, Ty Burrell and Danny Trejo. The season also includes the long-running series’ 300th episode and an Emmy-winning performance from Alex Borstein* for the episode “Nanny Goats.” From Fox … “Westworld Season 2: The Door” (2018) is a three-disc with all 10 episodes. 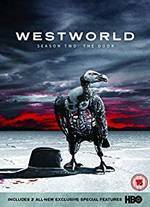 In Season Two, viewers are welcomed back to Westworld, where the puppet show is over and the newly liberated “hosts” are coming for humankind. Dolores (Evan Rachel Wood) takes charge, Maeve (Thandie Newton) is on a mission and the Man in Black (Ed Harris) is back. Chaos takes control in this dark odyssey about the dawn of artificial consciousness, the birth of a new form of life and the evolution of sin. On DVD, Blu-ray, 4K Ultra HD/Blu-ray Combo, from Warner … “Yellowstone Season One” (2018) is a three-disc Blu-ray and four-disc DVD with all 10 hour-long episodes. Kevin Costner’s family drama about a ranching family in Montana that faces off against others encroaching on their land. From Paramount. 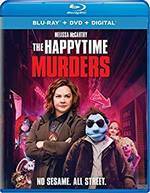 “The Happytime Murders” (2018), starring Melissa McCarthy, Maya Rudolph, Joel McHale and Elizabeth Banks, is a raunchy comedy set in the underbelly of Los Angeles where puppets and humans coexist. Two clashing detectives with a shared secret, one human (McCarthy) and one puppet, are forced to work together again to solve the brutal murders of the former cast of a beloved classic puppet television show. A hilarious buddy cop murder mystery comedy at heart, the film is unapologetically bold and keeps audiences entertained from start to finish. On DVD, Blu-ray/DVD Combo, from Universal … “God Bless the Broken Road” (2018) tells the inspirational story of a young mother who loses her husband in Afghanistan and struggles to raise their young daughter in his absence. The film focuses on the importance of faith, friends, and family, while paying tribute to those who serve in the United States military. On DVD, Blu-ray/DVD Combo, from Lionsgate … In “Ride” (2017), starring Bella Thorne, Jessie T. Usher and Will Brill, a struggling-actor-by-day James pays his bills by driving people around Los Angeles for a ride sharing service. His night starts out like any other, but he can’t believe his luck when he picks up the beautiful Jessica, and they immediately hit it off. His next fare, the fast-talking Bruno, convinces James to go back and invite her to join them for a wild night out. But things take a shocking turn when Bruno, armed with a gun and a twisted idea of fun, forces them on a terrifying, white-knuckle ride that quickly spirals out of control. 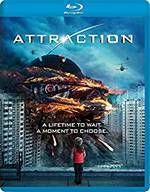 On DVD, Blu-ray, from RLJE Films … In “Attraction” (2017 — Russia), starring Irina Starshenbaum, Alexander Petrov and Rinal Mukhametov, a sinister unidentified flying object plummeting to Earth changes our view of humanity and life beyond our planet in this sci-fi spectacular. Moscow finds itself on the brink of destruction after a mysterious spaceship crash-lands in the center of the city. While the government seeks to find out what the ship’s passengers want and how to protect the local population, the rest of the city’s residents break into conflicting factions. Some view the aliens as a threat that should be extinguished, while others hope that the visitors are peaceful and offer an opportunity to learn more about the world beyond. When a young woman finds herself torn between her seemingly normal life and the alluring promise offered by one of the all-too-human extraterrestrials, the fate of the entire world is left hanging in the balance. From Fedor Bondarchuk, the director of “Stalingrad.” From Dark Sky Films … In “Viking Destiny” (2017), starring Ian Beattie, Will Mellor, Terence Stamp and Anna Demetrio, a Viking princess is forced to flee her kingdom after being framed for the murder of her father, the king. Under the guidance of the god Odin, she travels the world gaining wisdom and building the army she needs to win back her throne. On DVD, Blu-ray, from Lionsgate … In “Death Kiss” (2018), starring Robert Kovacs, Daniel Baldwin, Richard Tyson, Eva Hamilton, Stormi Maya, Leia Perez, Reese Austyn and Sam Story, a vigilante with a mysterious past moves to a crime-infested city and takes the law into his own hands, at the same time protecting a young mother and her child. 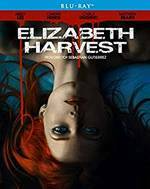 From Uncorked Entertainment … In “Elizabeth Harvest” (2018), starring Abbey Lee, Ciarán Hinds and Carla Gugino, a beautiful young newlywed (Abbey Lee) arrives at the palatial estate of her brilliant scientist husband Henry (Hinds). Ensconced in modernist luxury with an obedient — if slightly unsettling — house staff (Gugino), she has seemingly everything she could want. But one mystery tantalizes her: What is behind the locked door to Henry’s laboratory that he has forbidden her to enter? When an inquisitive Elizabeth dares to find out, everything she thought she knew about her husband — and about herself — will change. On DVD, Blu-ray, from IFC Midnight/Scream Factory … In “Snowflake” (2018 — Germany), starring Erkan Acar, Xenia Assenza, David Masterson and Alexander Schubert, while hunting down the murderer of their families in an anarchic near-future Berlin, two outlaws find themselves trapped in the wicked fairy tale of a mysterious screenplay that entangles them in a vicious circle of revenge — apparently all written by a clueless dentist. In their quest for vengeance, they must contend with a myriad of wicked fairy tale assassins, madmen, a blood-covered angel, and an electric-powered superhero. On DVD, Blu-ray, from Artsploitation Films … In “The Cabin” (2018 — Sweden), starring Caitlin Crommett, Christopher Lee Page and Erik Kammerland, a young American couple, Rose and Harry, are on their way to visit Harry’s family cabin — both as a nostalgic vacation and as a way to rekindle their relationship. But they’re not the only one that decided to visit the cabin this weekend … The vacation is quickly turned into a living nightmare for Rose and Harry as they meet a vicious sociopath who invites them into a involuntary cat and mouse game. From High Octane Pictures … Ho, ho, no! 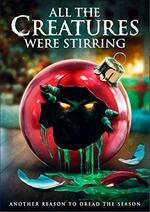 In “All the Creatures Were Stirring” (2018), starring Constance Wu, Amanda Fuller, Jonathan Kite, Jocelin Donahueand Graham Skipper, the joyful spirit of the holidays is about to take one dark turn after another. From sadistic office parties and last-minute shopping nightmares, to vengeful stalkers and immortal demons, there’s plenty out there to keep you from getting out of bed to see what’s under the tree this holiday season. Constance Wu (“Crazy Rich Asians”) and Jonathan Kite (“2 Broke Girls”) headline a ensemble cast in this devilish stocking stuffer of a movie. From RLJE Films … In “The House That Never Dies: Reawakening” (2017 — China), starring Joan Chen, Julian Cheung, Mei Ting and Gillian Chun, a hundred years after the mysterious murders of the entire Zhisheng household, a cultural relic restorer Song Teng experiences strange events at the ancient mansion. After discovering baby skeletons and weird spells, the intricate weaving of the past and present begin to emerge and reveals a haunting tale of the wrongly deceased still seeking justice from the living world. From Well Go USA. 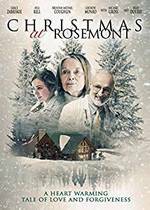 In “Christmas at Rosemont” (2015), starring Brad Dourif, Lochlyn Munro and Michael Gros, pregnant 23-year-old Lisa and her friend Brad, a professional snowboarder, get caught in a blizzard five days before Christmas and take shelter at The Rosemont. A once-great winter resort, The Rosemont has seen better days. After losing her daughter and granddaughter, the cantankerous owner Josephine has let it fall into disrepair. But now, stranded by the blizzard and with Lisa giving birth, everyone comes together to provide what they all need most — a family. From Strand Releasing … In “Support the Girls” (2018), starring Regina Hall, Haley Lu Richardson and Dylan Gelula, Lisa (Hall) is the last person you’d expect to find in a highway-side “sports bar with curves,” but as general manager at Double Whammies, she’s come to love the place and its customers. An instinctive den mother, she nurtures and protects her “girls” on the staff fiercely — but over the course of one trying day, her optimism is battered from every direction. Double Whammies sells a big, weird American fantasy, but what happens when reality pokes a bunch of holes in it? On DVD, Blu-ray, from Magnolia Home Entertainment. “Winter brothers” (2017 — Denmark) is set in a rural chalk-mining community during a cold winter. The film follows two brothers working in this harsh environment focusing on the younger one, Emil, who distills moonshine made from stolen chemicals from the factory. He is an outsider, an oddball, who made a conscious choice for loneliness and is only accepted by the mining community due to his older brother Johan. Emil longs for passion, for being wanted and loved. When a fellow worker becomes sick, the moonshine and Emil are prime suspects. Gradually a violent feud erupts between him and the tightly-knit mining community. Emil feels betrayed by his brother when he finds out that the neighbor girl Anna, the subject of his unfulfilled desires, chooses his older brother instead of him. Revenge, loneliness, and lack of love pervade this modern brother odyssey. From Icarus Films. “New Wave: Dare to Be Different” (2017) is the story of the most influential radio station in America. In August, 1982, a small group of radio visionaries at WLIR Long Island, knew they couldn’t compete with the mega radio stations in New York City. With one brave decision, they changed the sound of radio forever. Program director Denis McNamara, the crew at the station and the biggest artists of the era tell the story of how they battled the FCC, the record labels, mega-radio and all the conventional rules to create a musical movement that brought the New Wave to America — including bands like U2, Talking Heads, Depeche Mode and Blondie. Features Joan Jett, Debbie Harry, Billy Idol, Nick Rhodes, Denis McNamara, Jim Kerr, Vince Clarke, Curt Smith, Fred Schneider, Thomas Dolby, Midge Ure, Gary “Baba Booey” Dell’ Abate, Seymour Stein, Paul McGuinness, Dave Wakeling, Annabella Lwin, Miles Copeland, Joel Peresman, Larry Dunn, Donna Donna, Max Leinwand, “Malibu Sue” McCann, Michael Pagnotta and Steve Thompson. 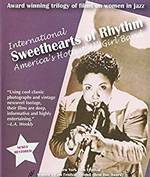 From MVD Visual Due December 7 … “International Sweethearts of Rhythm” (1986): From the Piney Woods School in the Mississippi Delta to the Apollo Theater in Harlem, New York City, this toe-tapping music film tells the story of the swinging, multi-racial all-women jazz band of the 1940s. A 16 piece band with a strong brass section, heavy percussion, and a deep rhythmic sense, the Sweethearts were not just a novelty but featured many of the best female musicians of the day. Starring Anna Mae Winburn, Ernestine “Tiny” Davis, Vi Burnside, Roz Cron, Evelyn McGee Stone, Helen Jones, Helen Saine, and Pauline Brady, of whom drummer Panama Francis says, “She played drums like a man!” From Kino Lorber … “I Am Paul Walker” (2018) is a feature-length documentary that explores the life and legacy of actor Paul Walker. Features interviews with those who knew Paul best — the Southern California native who cut his teeth as a child actor before breaking out in the blockbuster “Fast and Furious” movie franchise — both professionally and personally, along with an extensive personal archive of never-before-seen candid video and still photographs provided by family and friends of the late actor. From Virgil Films … “Becoming Iconic: Jonathan Baker” (2018) is a fascinating Hollywood documentary that explores the process of directing a big-budget feature, from the ground up, through the eyes of top directors as they tell their own stories in talking with filmmaker Jonathan Baker. Then, after listening to their words of wisdom, Baker distills the lessons learned from his experience making his first feature film, “Inconceivable,” with Nicolas Cage, Gina Gershon and Faye Dunaway. Features some of the industry’s most iconic directors, including Jodie Foster, Taylor Hackford, Adrian Lyne, Nicolas Cage, John Badham and Warren Beatty. From Random Media.